Al igual que en muchos países latinoamericanos, en México se conmemora el Día de los Muertos o el Día de Todos los Santos el día 2 de Noviembre. A diferencia del ritual católico romano impuesto para conmemorar el Día de los Difuntos, que se observa en muchos países, la costumbre establecida por las civilizaciones precolombinas de México se ha convertido en una ceremonia en la que las creencias indígenas se mezclan con las creencias católicas. 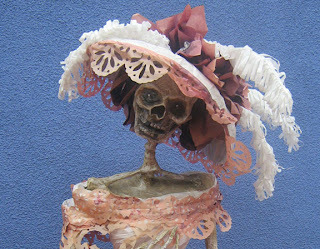 Por lo tanto, el Día de los Muertos en México no es una conmemoración de duelo, sino una celebración alegre y colorida donde la muerte tiene una expresión vivaz, amigable. Asi se describen en un sitio de internet las celebraciones en honor a los muertos. Los druidas no fueron una excepción. Se decía que el 31 de octubre Samhain liberaba a los espíritus de los muertos para que se mezclaran con los vivos. Estos druidas vagaban por las calles con linternas, y al llegar a una casa, pedían dinero como ofrenda para Satanás. 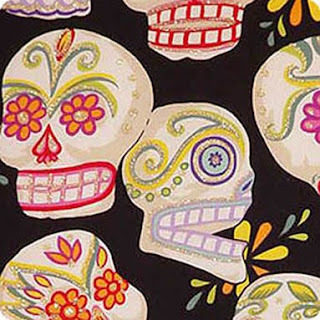 As in many Latin American countries, Mexico commemorates the Day of the Dead or All Souls’ Day on November 2nd. Differing from the Roman Catholic imposed ritual to commemorate All Souls’ Day, which is observed in many countries, the custom established by pre-colonial Mexican civilizations become a ceremony where indigenous beliefs blended with Catholic beliefs. Therefore, the Day of the Dead in Mexico is not a mournful commemoration but a happy and colorful celebration where death takes a lively, friendly expression. So described in a website the celebrations in honor of the dead. Perhaps in no other “Christianized” celebration does Satan so blatantly honor himself and memorialize his war dead. The writer J. Garnier suggests that celebrations of suffering and death can be traced back to the ancient destruction of all of his human followers, as well as the hybrid sons of fallen angels, at the time of the Flood. Cultures the world over have festivals for the dead, “held by all on or about the very day on which, according to the Mosaic account, the Deluge took place, viz., the seventeenth day of the second month—the month nearly corresponding with our November.”—The Worship of the Dead, by J. Garnier. The Druids were no exception. On October 31, Samhain was said to release the spirits of the dead to mingle with the living. Druids roamed the streets with lanterns, and on coming to a house, they demanded money as an offering for Satan.